I highly doubt the claim that he was an active militant before 2003 (see Bruce Riedel’s claim) as we have seen very little evidence of any Iraqis being involved with jihadist groups before the US invasion. The claim that he is from the Badri family in Samarra has not been refuted so far but my limited research has not yielded any confirmation from Baghdad’s universities and colleges that a man with such a name obtained a doctorate from there as his supporters claim. Reports that he was a preacher at one of Samarra’s mosques have only been found in daesh propaganda and ‘biographies’ of him but I highly doubt he was a person of any repute, capability or credentials pre-2003 (partly because he was too young). I would not be surprised if he was not even a religious person as most of the Iraqis who became involved in jihadist groups were secular Baathists before 2003. I’m sure he served in the Iraqi army at some point (compulsory service) so had some basic military training and expect that he had good links with the Baathist security apparatus pre and post 2003 (partly through relatives), and came into contact with individuals who were actively forming cells based on models of Zarqawi’s JTJ to destabilise Iraq (which were largely based north of Baghdad and south of Samarra), which led to the formation of JJASJ of which he is claimed to have been a part. The Americans detained him for most of 2004 in Camp Bucca as a ‘civilian internee’ which means he was linked to a terrorist group but not caught actively engaged in terrorist activities. They released him because he seemingly posed no threat at the time which again shows that he was not a notable figure at the time. It is known that radicalisation took place in Bucca (several daesh leaders were held there at the same time before eventual release) so Baghdadi’s rise began with his detainment where he met his future network and collaborators. The abuses at Abu Ghraib, the success of Zarqawi, the discontent of the Sunnis areas of Iraq would all have presented an opportunity for him to build on his new career as an insurgent. As an Iraqi he would be better able to coordinate with locals than foreigners which would explain his rise to prominence but most reports point to him only being a member of the sharia committees of JJASJ, then MSM, and then ISI, not as a commander of note. Because he was pretty much unknown between 2005-2010 I would not be surprised if he was held shortly at some point by the Iraqis and it is claimed that he was the MSM commander for the town of Rawa in Anbar province, and that he facilitated the entry of foreign fighters from Syria and Saudi Arabia into Iraq through that area. He probably has lived in Baghdad and Mosul at some point during these past few years but very few people got to meet him and those that did saw him wearing a mask. This was partly because of security (his predecessors and peers were all killed using tip-offs and intel) but I think he used the period 2010-2014 to beef up his religious knowledge and to build an aura of mystery around his character. His Friday prayer appearance showed a calm individual whose use of the Qur’an reflects a level of training and education that had prepared him for the occasion. His recorded audio speeches are edgier though and his dealings with JAN and AQ have shown that he views himself as superior and has a hint of disdain for non-Iraqis. The photos of him from his detainment in 2004 and the one released by the Iraqi Interior ministry earlier this year to me show an ambitious terrorist not a caliph. Baghdadi is a man who revels in his position as the world’s top terrorist and sees himself as the successor to Bin Laden. When he arrived in Camp Bucca he was scared and looking for a way out, now he commands a semi-functional ‘state’ and its army. 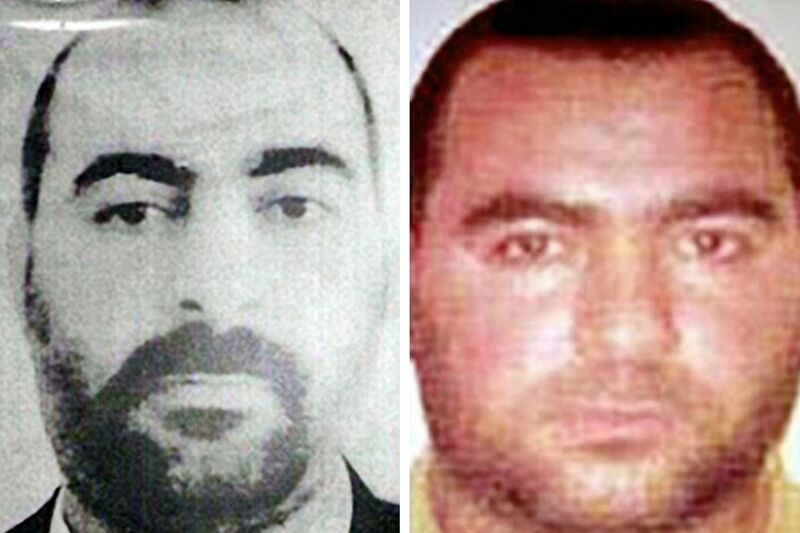 His transformation was complete when he appeared in Mosul as the ‘caliph’ but it is obvious that much effort has gone into this over the years. Very little is known about his character and personal life but it is said that he is ruthless in his dealings, and quiet in person. He has at least two wives and is known to distance himself from all except very few trusted individuals. Paranoia dictates his behaviour and routine but the organisation around him has evolved without much direction from him, thereby leaving him as a useful figurehead without the danger of operational duties. In summary, once you remove all the mystique and grandeur the ‘caliph’ turns out to be a rather ordinary man who saw his opportunity and took it. He is no different from the hundreds of other Iraqis who attempted to destroy the new Iraq and could have ended up as either violent criminal or faceless terrorist but instead now finds himself at the centre of the world’s attention. And both he and those around him will ensure it stays that way. The deal itself is especially significant because of the timing. The PM promised when forming the new government that he would resolve the dispute with the KRG within 3 months and he has managed that. The Baghdad-KRG dispute has been going on for a number of years but with the threat the whole country is facing it was essential that a deal was struck in order to reduce financial pressures and also present a united political and military front against daesh. Abadi has shown that his government can get things done and the Kurds have shown that they are willing to compromise in order to continue as part of the Federal Iraq. This is not the end of the confrontation because there are several outstanding issues between the federal and regional government, and even the oil export deal has some details to be confirmed. This does reduce tensions and also is the most significant issue that could have been resolved at this time, so it has set the right tone for further engagement to resolve other disagreements. Both sides have gained and both sides are more optimistic going forward, so a significant step but not the final one. On Sunday 7th September 2014 an agreement was made between the major political blocs in Iraq that led to the formation of the new Iraqi government. The official document is published by the Cabinet Office in Baghdad, which includes deadlines for key issues to be resolved/implemented. On the 8th of September the PM designate Haider al-Abadi presented his government’s program to the Council of Representatives for approval, which received the vote of confidence along with the ministerial candidates. The preamble to the program is here, the ‘strategic priorities’ for the ministries here, and the 2014-2018 government program is here. These documents are the basis of the unity government and will be used as a reference for any dispute that may arise, and what Abadi’s government should be judged on. 1) Form an inclusive government with a decision making process that espouses team spirit and partnership between all political stakeholders. 3) All polticial blocs agree to stand together to fight terrorism and liberate all territories occupied by ISIL. All arms and armed units should be under the direct control of the formal state security apparatus in accordance with Article 9(i) of the constitution. 4) Rehabilitate and rebuild towns that have been devasted by violence and damaged by military operations through establishment of a reconstruction fund in coordination with international organizations; provide adequate humanitarian relief to displaced persons until they are able to safely return to their homes. 7) Combat corruption by implementing a new strategy that begins by reassessing the state’s anti-corruption mechanisms and introducing new measures to reform the country’s bureaucracy. 12) Resolve outstanding disputes over the status of independent bodies and institutions. – Commitment to ensure that the state establishes a monopoly on the use of arms and that all armed groups are under direct command of the formal state security apparatus. – Ensuring that Iraqi Security Forces are committed to protecting citizens. – Rally international support to combat terrorism in Iraq. – Work to achieve security and stability of Iraq and the protection of its strategic facilities. – Rebuilding a professional and efficient armed forces that represents all segments of Iraqi society. – Concerted efforts to pursue foreign relations on the basis of mutual interests, with a particular focus on security and counterterrorism cooperation. – Commitment to promoting friendly relations with all neighbors based on the principle of non-interference in domestic affairs of others. – Implement administration decentralization through an overhaul of administrative and bureaucratic procedures. – Introduce a comprehensive plan to overhaul civil and military institutions in order to root out corruption and enhance efficiency and productivity of the government by introducing e-government. – Utilize local and international expertise to enhance policy planning mechanisms. – Establish a strong working relationship with the Council of Representatives to cooperate and coordinate on legislative and supervisory matters. – Resolving financial, administrative and legal disputes through the proper constitutional and legal channels rather than resorting to political deals. – Implement a comprehensive strategy to encourage sustainable development as outlined by Iraq’s National Development Plan 2013-2017. – Shift focus towards private sector development and promote investment in variety of sectors. – Raising the standard of public services and quality of life for all citizens with a focus on health, education, electricity and transportation infrastructures. – Continue to increase oil and gas production and oil export capacity to bolster economic growth. – Introduce economic and financial reform package with the aim of transitioning to a market economy. – Modernize financial management systems and budgetary spending. – Commitment to the principles outlined in the formal compact agreed upon by political blocs participating in the unity government. – Establishing policies on energy and finance that lead to fair distribution of wealth. – Depoliticize state institutions and promote equal employment opportunities for all Iraqis with a view to ensuring fair representation of all segments of Iraqi society within state institutions. – Firm commitment to uphold principles of human rights within all state institutions including the protection of citizens from violations and abuse. – Commitment to resolve all outstanding issues with the Kurdistan Region as well as other political partners that is wholly in line with the constitution. – Strengthening the role of women and civil society in the public domain. Saudi has shown itself of being barely able to contain terrorism within its borders and certainly a sizeable chunk of fighters, recruiters, funding, support, preachers for ISIS has come from Saudi the country, though probably not the govt or monarchy. Their deradicalization programs have not been hugely successful and the preaching of jihadist ideology is in Saudi, not Egypt or elsewhere. Saudi is an intolerant country, my guess is Obama wants Western leaning Syrian rebels to be trained in Saudi and not Islamist ones, which is a strange mix: using the strict, Salafi based nation where a lot of jihadists and ideology comes from to train Western leaning and secular rebels. Doesn’t seem to be a smart move, can’t think of any positive results likely. As for examples of mistrust, Iraq was and still is mistrustful of Syria, they believe Assad allowed Baathists to use Syria as a base and allowed foreign suicide bombers to come into Iraq through Syria in order to destabilise it. The govt had wanted Assad to tackle ISIS and recognise that their presence is being taken advantage of by Assad to weaken the FSA and other rebel groups. The Arab states are mistrustful of any Shia led government in Iraq because they believe it to be too close to Iran and will serve their interests above all. 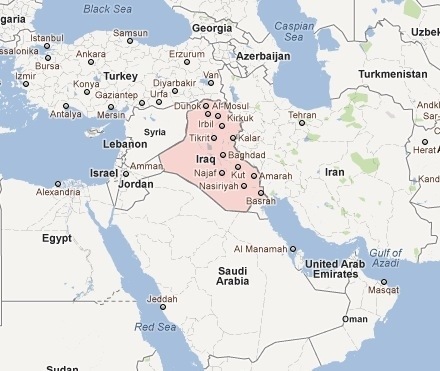 Iraq has fallen fully under the Iranian sphere of influence and the Arab states cannot allow that to remain. Iraq is mistrustful of Arab states because they believe they will never allow a Shia led state to be in place and are finding ways to destabilise Iraq in order to bring back the Sunnis to power. ISIS would dearly love for Western troops to be deployed to Iraq. That would bring it more recruits, justify some of their actions to the Muslim world, and give their jihadist cause more legitimacy. ISIS has studied the situation, saw how the Maliki led govt was disliked by the West and knows there is much rivalry among the forces fighting it. Above all it has been able to provoke sectarianism and the involvement of the militias means any meaningful alliance against ISIS will either not happen or fall apart quickly. ISIS are strategic, they are not thugs, their leaders are smart and know how to sow discord between its enemies. Remember in Syria ISIS was much hated by the other groups and much weaker but now it has dominated them because they were able to cause friction and avoid head on conflict as much as possible. Fear and propaganda have been their biggest weapons. Based on this I do not see the defeat of ISIS at the hands of a coalition made of rivals who have much dislike for each other. I think the US recognises this and so the strategy will be one of containment, degradation, and limitation. ISIS knows this too, so is looking for a long term campaign of survival, entrenchment, and influence. Look at the Taliban as an example of how you can outlast your enemies despite their superiority. The American and Iranians did not cooperate directly in Amerli, it was through the Iraqi intermediaries and both needed to act in Amerli for differing reasons but in essence to save the Shia under siege there. I think the non-aggression pact is now implicit as part of the nuclear negotiations, but that will not stop from either side regularly reminding each other (through very limited actions that they will claim deniability for) that they are willing to go military against each other. The threat of ISIS is forcing states and actors to work with each other but I don’t think that will change views or lead to tolerance or trust in each other. Temporary alliance but not a long term change in attitudes. As you say, my enemy’s enemy is my friend. But there is another saying that your enemy today may be your friend tomorrow, and your friend today may be your enemy tomorrow. I know they have been self-financed for nearly a year now. The methods they use are: extortion and racketeering, ransoms, taxes, sales of seized goods and property, oil smuggling, robbery of cash, bartering. I’ve also heard that they traffick people/sell them, conduct weapons sales, and are involved in drugs sales and smuggling. They also took jewellery from the Assyrians and sold/auctioned it. They’ve taken over farms, land, homes which they use as investments. From his hotel lobby in Erbil he appears on TV screens in crisp white attire, like an Iraqi Lawrence of Arabia. In fact his delusions of grandeur are almost as good as Peter O’Toole’s acting. But this ‘crown prince’, as one media outlet referred to him, is only a charlatan, who has time on his hands and some powerful sponsors. Ali Hatem Sleiman claims to be the leader of Iraq’s largest super-tribe, the Dulaim, which maybe number over 3 million members, and is a confederation of hundreds of tribes each with their own tribal elders and nominal leader. None of these recognise that Ali Hatem is the leader of the confederation yet somehow Hatem has managed to have his claim accepted as fact in the media, both Arab and foreign. The issue of the tribal leader is overstated since the role does not exist practically, because the Dulaim confederation is not a single cohesive unit. A majority of the tribes in Anbar are part of the Dulaim confederation, yet each tribe has its own policies, such as fighting alongside the Iraqi security forces, or holding uneasy agreements with ISIS, as has been the case for the past decade. Even US officials, thanks to Wikileaks, are shown to know exactly who Ali Hatem really is, and made the deal with the devil. But not only is Hatem just a façade, he has actually caused much infighting and discord among the tribes themselves. In fact a gathering of Ramadi tribal leaders passed a tribal death sentence on Hatem, referring to him as a criminal. His sponsors paying for his name and image (and the hotel room) need him to threaten Baghdad with, or at least to use the media for that. Some are Americans raging on about getting the tribes aboard, arming them so they can fight ISIS, others are Gulf Arabs complaining about the lack of inclusivity and the need for Sunnis to lead the Sunnis. Were it possible that Hatem is actually capable of doing so and being that fighting leader then that might not be such a bad thing. But unfortunately it’s a case of his bark being worse than his bite. In the end you cannot blame Hatem for trying. There is money, weapons, influence and political positions up for grabs. The Americans threw those at some tribes in return for outsourcing the battle against Al-Qaeda, creating the Sawha militias and calling them ‘Sons of Iraq’. They created yet another culture of money talks when dealing with Iraq, opening it up to corruption and abuse. This has plagued the good people of Anbar in particular, who suffer from poor leaders and a cycle of treacherous violence. Some US military officials say Hatem did a job then so he can do it again, but that job was America sweeping it’s dirt under Iraq’s carpet and walking away as if nothing happened. So the next time you read Ali Hatem, head of the Dulaim tribe, don’t bother with the pinch of salt, just click back on your browser. A neighbourhood like the Middle East doesn’t encourage friendly neighbourly-like behaviour, but being nice is certainly not in fashion at the moment. With the Arab spring crawling along the ground bloodied and bruised, some faces have changed, but not enough for most people. In the midst of this, Iraq is now ‘liberated’ for the second time in the last 9 years and finds itself in a rough neighbourhood with not much for protection or allies. While the US has repeatedly said it is committed to the security of Iraq and the protection of its borders and people, most believe the US has left Iraq to the dogs. While allowing Iraq to fall into total lawlessness like Sudan in the 90s or Somalia more recently is definitely not the favoured scenario for the US, supporting a strong state that may become anti-US in its foreign policy is definitely not acceptable or will be allowed to happen. As it stands Iraq is not strong enough politically or economically to influence the Middle East and certainly nowhere near powerful enough militarily to support its foreign policy there. It has worked out a basic long term strategy to develop the economic power (increase oil export capacity but not production to allow Iraq to control the only spare capacity in the world) but seems unsure of how to develop policy with regards to its immediate neighbours. Currently Iraq seems to receive its ME policy from Iran, with some internal rewording to soften the tones for the US, but has not managed to figure out its own long term foreign policy that includes Iran as an equal but not superior. Instead dealings with its neighbours seem to be reactionary and short sighted, with no strategy that is designed to accommodate for events on the ground. Some believe that Iraq spends all its time and energy in reacting to events on its own soil that other countries engineer: in effect Iraq is being tapped on the shoulder by so many at once that it is in a daze. With the Arab League summit due in Baghdad soon, it will be interesting to see who turns up and what the mood will be. So I have drawn up what I understand is the current situation with the 6 immediate neighbouring states, and from this we can see that Iraq is rather isolated at the moment and that the US departure, while helpful in many ways, has served to highlight Iraq’s preoccupation with internal control to the detriment of its foreign policy. Has followed up strong economic role in Iraq with increasing political influence. Despite Erdogan’s visit last year that saw all parties welcome him, his criticism of Baghdad which lead to a diplomatic spat shows Turkey is stepping up its attempt to counter Iranian influence in Iraq. Opposition figures still flock to Turkey and even the Kurds now see Turkey as a lesser threat than before and are willing to make drastic concessions to maintain good ties. PM Maliki has not obtained any significant support from Turkey for his current maneouvers and the government is still complaining about Turkey’s stifling supply of water. Goods, contracts and oil still flowing well between the two, second highest trade partnership for Iraq. Remains the most powerful actor in Iraq. While it still funds almost all parties, movements, insurgents and militias, it has seen growing resistance to its control over domestic politics. Resentment is high because nearly everyone has defied Iran at some point and paid a price, but now other states are supporting and protecting those who push back against Iran. While a chaotic Iraq is now not favourable following the US withdrawal, a weak Iraq would be ideal as it would remain beholden to Iran politically and economically, but would work against a strong Iraq. Using Iraq as a forward base to defend against an Israeli and/or US attack, and to threaten a regional war with Syria and Lebanon acting in the same capacity as Iraq. Most important trade partnership for Iraq, only ‘ally’ for Iraq in the region. Wary of Iraq’s increasing assertiveness and economic power. Though Iraq still seems to be the weak bumbling giant in this relationship, Kuwait is taking steps to check Iraq’s economic progress without damaging political relations (Mubarak port excellent example). Kuwait is still aggressively pursuing repatriations and debt, and has UN and US support in this. Almost all of Iraq’s cash is in the US and it won’t dare defy Kuwait while the US has guaranteed to protect and support it against Iraq. Royal Family has good links with all sides in Iraq, but Kuwaiti parliament is wary of a united Iraq with a nationalist sentiment. Potential for both good and bad outcomes in this relationship, but bad in the mid to long term more likely. Most hostile neighbour with no incentive to better relations. Bitter relationship between Maliki and Abdullah has not improved, and both governments can see a huge clash on oil coming. In many ways Iraq is the equal and opposite of Saudi and the potential for political conflict is high. Trade, travel and diplomacy is very limited between the two, and religious enmity and fear is seen on all levels. Saudi has supported groups to fight a proxy war with Iran, but lost out eventually and seems willing to cede political influence to Turkey and Iran, but strengthening economic influence through control of OPEC and support of Kuwait. Negative outlook for the future. Only favourable relationship for Iraq, Jordan growing weaker and more dependent. Despite poor relations earlier, 2011 showed weakness of Jordan’s economy and poor political influence. Iraq has successfully neutered political opposition and money in Amman, while improving diplomatic ties. Unrest in region and high energy prices have made Jordan more reliant on Iraqi gas and oil, which the Iraqi government still provides at a favourable discount. Both sides seem to be willing to strengthen accord and have been careful to avoid damaging statements. Outlook is highly positive for Iraq. Hedging bets, attempting to develop influence. This is the only state in which Iraq has an extensive intel network and can operate a policy of its own that may not be in line with Iran’s. The Iraqi government has not supported Asad publicly, but privately would like him to stay in power as the alternatives are less favourable, despite accusations of Damascus supporting or allowing terrorists to fund and operate in Iraq. If Assad falls, Iraq will support the new government and will gain influence, and also be in a stronger position when dealing with Iran. If Assad survives, Iraq will find itself in a murkier position between Tehran and Damascus, but not necessarily a hostile one. Positive outcome for Iraq likely in mid to long term. Perhaps the Arab League will shed more light on these and other relations but at the moment it seems none of Iraq’s neighbours like Iraq and vice versa.